Each bloom opens a rusty-orange and fades to lilac-purple as they age. Flowering until early summer they are great as cut flowers and sweetly fragrant. 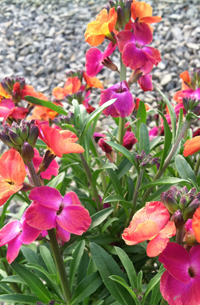 Prefers well-drained soil in sun or part shade.